Geeks Who Drink Pub Quizzes at New Realm! Free to play, win New Realm bar cash and Internet glory. 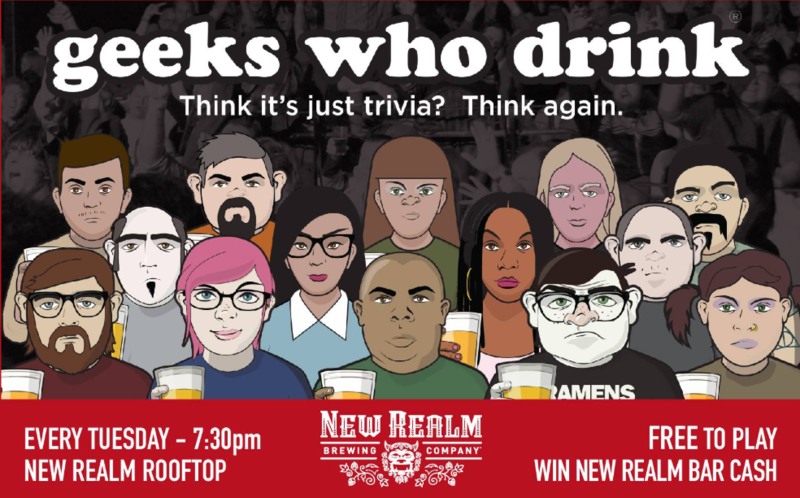 WHERE | New Realm Brewing – Takes place on our rooftop patio, the best place for beer and trivia in ATL!